Madison Park cards have a diverse look and feel within the stationery and gift industry. Their products stand out as being fresh, fun and practical. The cards are printed in a variety of sizes and shapes and come with custom sized quality envelopes. 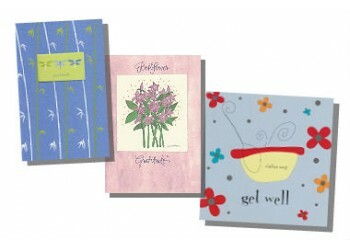 These cards are priced below similar quality cards and do well in retail locations offering alternative ranges of cards.